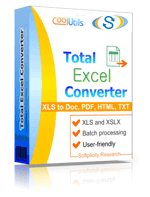 Total Excel Converter is an advanced software tool. It was designed to convert various types of tables, particularly XLSM, to SQL and other formats. This is one of the most versatile and convenient programs, which comprises a set of advanced functions and options. Coupled with intuitive user interface, these functions and options allow users to save a good amount of time. With this program at hand, you can abandon many time-taking actions, which you have had to perform so far. If you have installed this XLSM converter on your device, you can master it without reading instructions or asking someone for expert advice. Just look at the screen, and you'll know what to do. 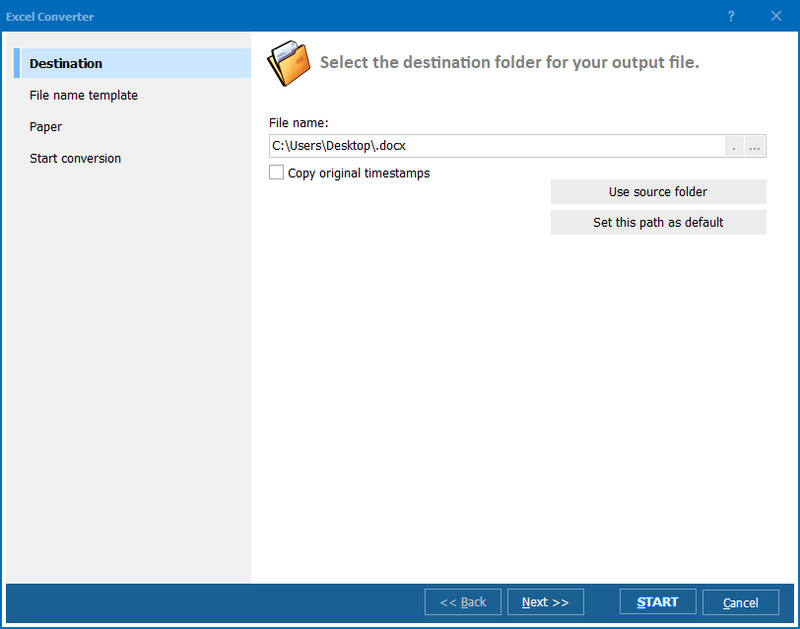 If you know where your source XLSM files are located, find the folder in the folder tree. Click it and view your XLSM file list. Tick the files using checkboxes. If you have a large group of XLSM files and need to convert them all to SQL, use the batch function. Press the "Check All" button to tick all your XLSMs. If you want to cancel batch XLSM conversion, press "Uncheck All" to remove the ticks from the whole batch. Select "SQL" in the format bar or via the drop-down Convert menu. The wizard will show you further options. First comes file destination. 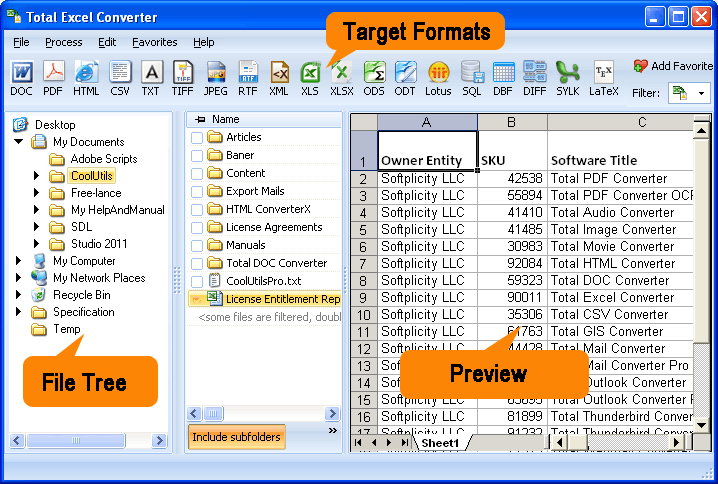 Here you can specify the folder, in which your output SQL files will be saved. 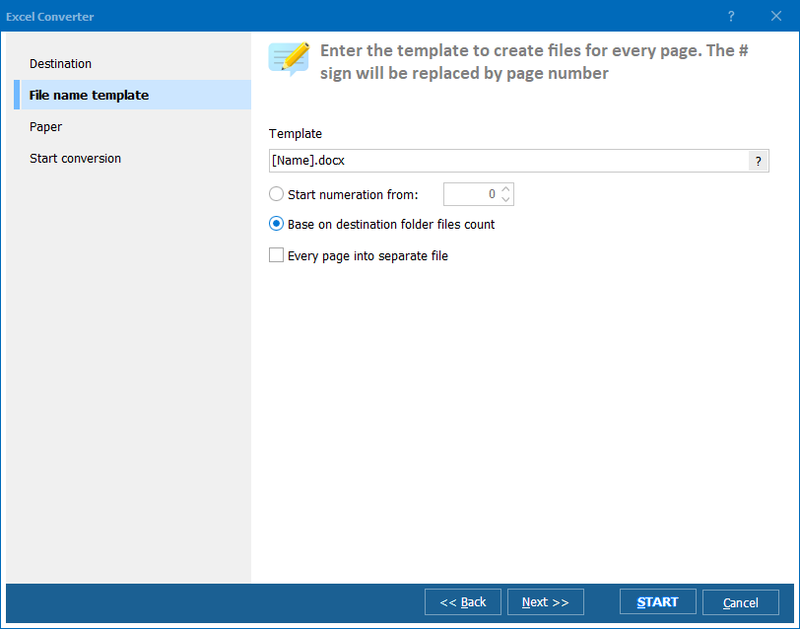 Use file name template option to name your SQL files. Also, you can set numeration and destination folder files count. If you wish to save every page as a separate file, tick the option at the bottom of the options list. Press the "Start!" button to convert Excel to SQL. This program has a free version designed for novice users. Please,download it and check all its basic options. To continue to use it after 30 days, you should buy the key. For most users, it takes 3 days instead of 30 to make up their minds and buy the license version!